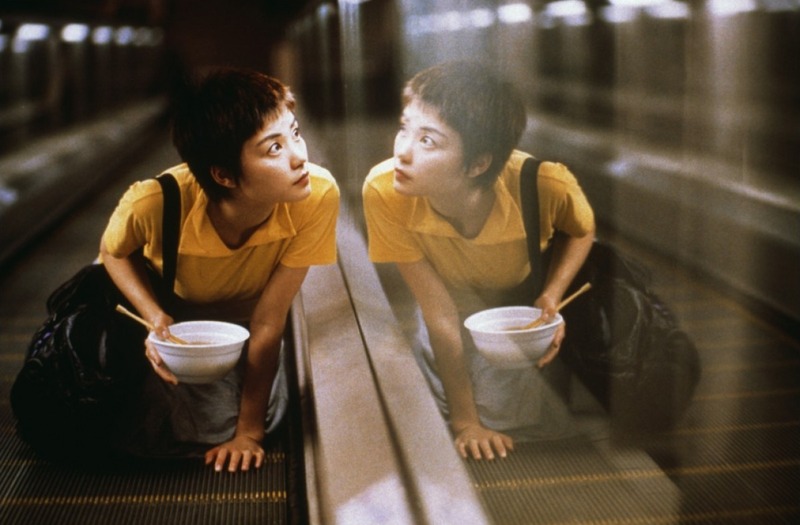 The film shown was Chunking Express - or as its original Chinese title translates to, ‘Chungking Jungle’ – a Hong Kong-set film of indeterminate genre, which is probably best described as a combination of film noir and love story. It follows the romantic musings and adventures of two policemen who both frequent the same late-night food stand in the Chunking Mansions, a genuine Hong Kong location. The two men’s stories loosely intersected at some points, but could almost be taken as two separate films; the first following some film noir conventions including the mysterious femme fatale; the second being more quirky, and almost rom-com like (yes, I said it!). However, opinions were split as to whether the female lead in the second story was thoughtful and loving, or just plain crazy and stalker-ish! This led to some serious chin-stroking as we pondered the representation and nature of love in other cultures (go team!). I personally was particularly gratified when my assertion that all Hong Kong/Chinese films that make it big in the West star Tony Leung and/or Andy Lau was proved correct when Tony Leung appeared on screen as the second policeman. Tony Leung has starred in a number of films by the same director, Wong Kar-Wai, and both men starred in what is probably the best known Hong Kong thriller Infernal Affairs. You may be more familiar with its Hollywood remake, The Departed. Both men are typical of Hong Kong film stars in that they are both also successful pop stars. The same is also true of the actress who played the crazy girl, Faye Wong. She has apparently been referred Hong Kong’s answer to Bjork, and also sang the lovely Cantonese version of the song ‘Dreams’ by The Cranberries’ which featured in Chunking Express. All in all, I think you’ll agree that this was another great choice, and it also means that we have now seen more foreign language films than English language films in MNFC. I leave it to you to decide whether that makes us admirably open-minded film fans, or merely pretentious. The next stop on our journey is Walthamstow on the 6th June. Jess will send out instructions closer to the time. In the meantime, I’m sure you’ll join me in hoping never to hear the song ‘California Dreamin’ ever again, and wishing that you too could ask someone if they like pineapple in 4 languages.